Showing results by author "Albert "Prodigy" Johnson"
Pappy tries to break out of the game before the head of his crew, Black, gets them all killed. Against his better judgment Pappy agrees to do one last job, but only because it’s the price of his freedom. He knows Black can’t be trusted. He knows his “brother” would rather see him dead than let him walk away. Yet he still agrees to do the job because Black isn’t the only one who can’t be trusted. Sometimes you have to kill for what you want. 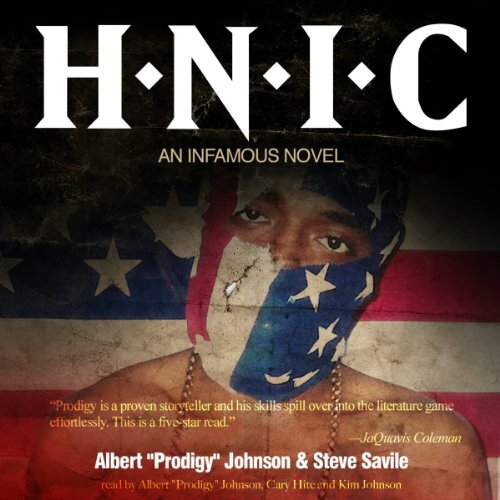 Further developing the stark realism and uncompromising streetwise narratives of his lyrics, H.N.I.C. cements Prodigy’s position as one of the foremost chroniclers of contemporary urban life.